Today I am doing something a little different. We are unboxing January’s PetrolBox. PetrolBox is a monthly car subscription box made by car enthusiasts. When you sign up for PetrolBox, you will receive package each month filled with different car stuff. This is my third month of PetrolBox. I have go tools, t-shirts, air fresheners and even really cool socks. I have to say it’s more fun to get them now, than as a kid on Christmas. Also the folks at PetrolBox are CrewMember supporters. Help Support The Show Many of you have asked about supporting the show. For that I thank you. For now, the best things you can do are SHARE THE SHOW, and shop with my links on Amazon. You will not spend any more money that you would normally. 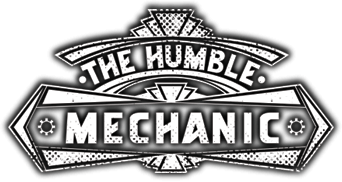 Here is the Amazon link ~ Humble Mechanic on Amazon or you can check out some recommended tools I have listed below. Having trouble viewing? Watch “UnBoxing January PetrolBox®” on YouTube. As always I love to hear your thoughts. Please post them in the comments section below.Also if you have an idea for a show you can email me, or use the contact me form! Also if you like the videos I produce for you, please consider joining the CrewMembership. There you will get exclusive videos, amazing discounts, and access to my training manuals.